How shall I link Instamojo to my website? 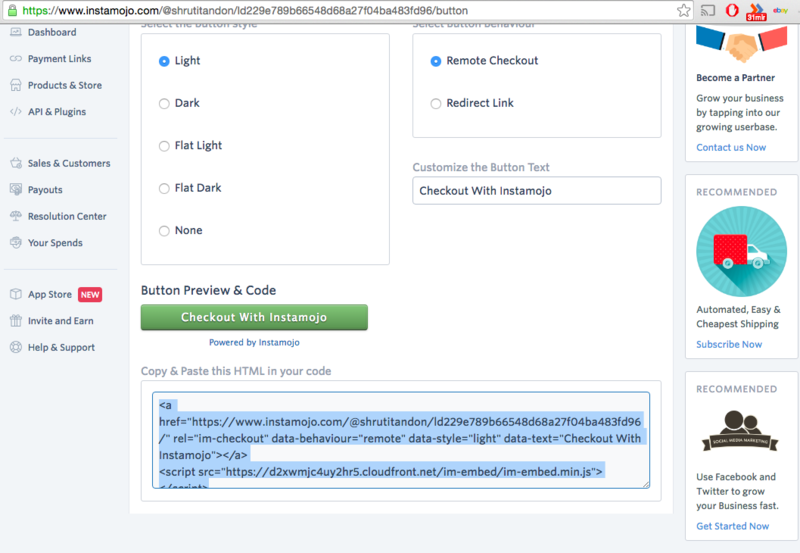 Primarily, there are two ways you can do so – one programmatically via API (Instamojo for Developers) & by copy-pasting Instamojo payment buttons (Embed Instamojo Payment Button On Your Website). Here, we will only talk about the payment buttons and show how does it work today considering we have done a lot of improvements to overall simplicity, UI/UX and reliability across various kinds of websites. 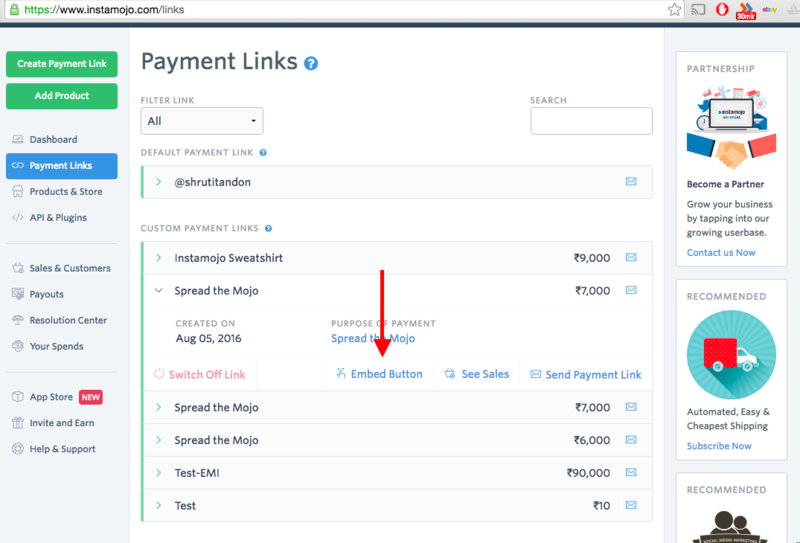 So there are 3 steps to get those fancy Instamojo payment buttons and close a sale directly from your blog or website without any coding/IT skills. Login and go to your Instamojo dashboard. For every payment link you create, you will find “Payment Button” option. Final step is to copy the code and paste it on your blog or website ( green button in the image below ). Now your potential customers can click the button and make a purchase in few seconds. For Wordpress users, we have plugins like this, WooCommerce Instamojo . We have similar plugins for other platforms too like Magento, Drupal, PrestaShop etc. Visit Instamojo for Developers for details.